Man Utd play Derby County in the League Cup 3rd round at 8pm tonight. The Red Devils have won their last four encounters with Derby - all cup games. Derby's last win against Utd was a 1-0 victory in the League Cup semi-final first leg in 2009. Utd boss Mourinho and Derby boss Lampard won the League Cup together twice when they were both at Chelsea. Tonight is a league cup third round fixture between the red half of our city and a team famous for having the lowest ever points tally for a Premier League season. Despite living so close to Old Trafford that my sneezes could be heard at the stadium, I’m a long-suffering supporter of Derby County. After that season in 2008, which would surely have had Brian Clough turning in his grave, the Rams have faded into relative obscurity, languishing mid-table in the Championship most seasons, and rarely having cup runs that are too exciting. However, the reason for this may be that they keep getting drawn against United! The season after Derby’s disastrous Premier League relegation, they managed an incredible run in the League Cup, making it all the way to the semi-finals. Picture the scene: A team derided for winning just once the season before drawn against the English champions; the world-famous Man United. Nobody gave Derby a hope. A thunderbolt from Kris Commons proved to be the only goal of the game, and Derby won the first leg. For a team so used to defeat and mediocrity, getting a result against the league champions was incredible. The Red Devils won the second leg at Old Trafford 4-2 in a highly entertaining match. Nobody at Derby had expected to go through, and just having secured a victory in the previous leg was enough for Rams fans to treat the game like a festival. Since then, Derby have been drawn against United three times in the FA Cup with the Red Devils winning every fixture. The first was later that same season, with United securing a decisive 4-1 win at Pride Park to spare themselves blushes from the League cup tie. In 2016 and last season, United were drawn at home to the Rams, and won both games by two goals. It would be beyond optimistic for a Derby supporter such as myself to expect anything other than business as usual tonight, and yet with the magic of the cup, I still feel like my team has a chance. Tonight’s fixture has an interesting backdrop, with outspoken United manager, José Mourinho, coming up against Frank Lampard in his first managerial position at Derby. The former managed the latter at Chelsea where together they won the League Cup twice, the FA Cup once and the Premier League twice. 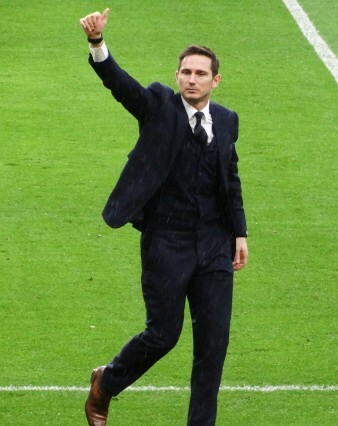 Lampard will be keen to prove his mettle against his old boss and Mourinho won’t be able to stomach losing to his protégé, so both managers will be fired up for the game. While a trip to one of the titans of football is always an exciting moment for the Rams, for United it will be a relatively unimportant cup tie against lower-league opposition that gives them a chance to rest most of their starting squad. So maybe, just maybe, could a well-drilled Derby first team shock a weakened United squad that don’t play as regularly? Both teams are really more interested in their respective leagues. United want to take back bragging rights from the Blue half of Manchester and Derby, having spent the last decade consolidating their second tier status, will be keen on winning promotion this season. It’s mostly pride at stake in this fixture, which is perhaps the best way to go about it. Lampard against Mourinho is the most interesting battle. Will the poacher become the gamekeeper? Or will United remind us why they add trophies to their cabinet most seasons, and we do not? Only 90 minutes of football at Old Trafford can tell us.